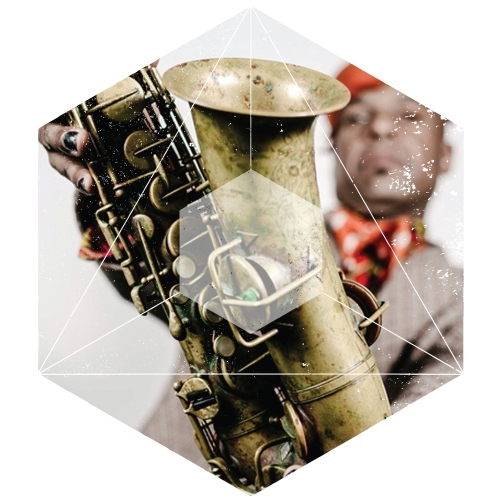 Artist Info: Fishbone frontman Angelo Moore is promoting a new solo album, Centuries of Heat, with his group, The Brand New Step, on Ropeadope Records. Moore hardly needs an introduction. A game changer in the world of music and performance, Angelo has given high-energy musical performances around the world as the singer of legendary alt-rock band Fishbone. Formed in 1979 as a ska and funk band, Fishbone became a soul band with rock influences, always energetic and mixing a party vibe with social commentary. Centuries Of Heat is as raucous and upbeat as any of his past material, but it’s equally no laughing party: the album tackles topics that are on everybody’s mind, from Black Lives Matter ("Built For Love") to global terrorism ("Centuries of Heat") to marijuana politics ("Killaweed") to his own struggles in the ever-changing and unsteady music business ("Karma Cashback"). "Decompression" and "Booty Bang," two of the record’s party tunes, feature guest appearances from Stanton Moore, Robert Mercurio and Ben Ellman of Galactic, Tim from Kasabian, Claude Coleman from Ween, Butterscotch, Casual, Boots Riley of The Coup, and Syzygy. As Angelo continues to tour the world with Fishbone, he brings us this gift—the culmination of his vibe and talent thus far. A vital American musician, Angelo has influenced so many, and now he moves from his wild front man persona into a deeper place. Raw, more definable, and even more honest, he transforms from musical athlete to lyrical warrior and back again.